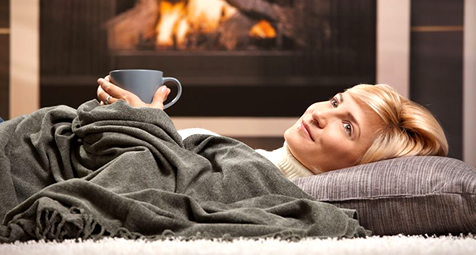 Comfort Solutions Ireland is a One-Stop-Shop for making your home more energy efficient and more comfortable in which to live. Comfort Solutions Ireland believe simply in quality, something that is paramount to our overall vision. Our vision is to be the very best at what we do. Through hard work and attention to detail, we have a built a very strong reputation for superior products, outstanding installation quality and exceptional professional service across our wide range of energy efficient services. We aim to be the No. 1 retrofitting contractor in Ireland. We endeavour to show home-owners across the country that we are by far the best option in terms of delivering exceptional quality installation in everything that we do. Contact us now or read on to see why you really should! We strive to surpass our client’s expectations and provide them with a professional, expert and honest service. We are fully registered, fully insured and provide warranties on all our work, including the installation. We carry out all our work to the highest standards of workmanship, using only high quality, reputable materials and expert, qualified tradesmen/professionals. We have an unyielding attention to detail which is commented on time and again by many of our customers. We are NSAI accredited installers and registered with SEAI and local county councils to carry out much grant aided work and have an extensive knowledge of all the grants and incentives available. Please contact us for further details and for any questions you may have. Business owner, Fergus Mc Manamon, is a fully qualified Passive House Consultant and can help you to realise your dream of a home built to the ultimate standard. See our Passive House section for more information. We offer a personal service and will try to meet clients and perform surveys and site visits at times convenient to the client, even if that means evenings or weekends. We are based in Newport, Co. Mayo and serve all of Connacht and beyond. Our motto is “If it’s worth doing, it’s worth doing right”. Take our previous customers as examples of why it’s worth going that extra yard in terms of quality. See out Testimonials section to hear what they have been saying about us. For too long, the people of Connacht and indeed Ireland have been subjected to ‘below-par’ contractors and poor workmanship during the construction and retrofit of our buildings. Comfort Solutions Ireland is leading the way to bring high quality products and service back to the construction sector. You can trust us to deliver your project in the way that you dreamed, as so many before you have done. So, if you want quality in energy efficiency, give Comfort Solutions Ireland a call today on (098) 42699 or email info@comfortsolutions.ie. You’ll be glad you trusted us.